While teenage girls were chasing after Escape the Night star Joey Graceffa and scribbling #DefendDACA onto the YouTube expo wall in support of vlogger David Dobrik, industry leaders in online video met to discuss the state of the market. I had the privilege of covering many of the industry sessions featuring some of Australia’s leading creators and global minds on social media in the first ever VidCon Australia held in Melbourne’s Convention and Exhibition Centre. 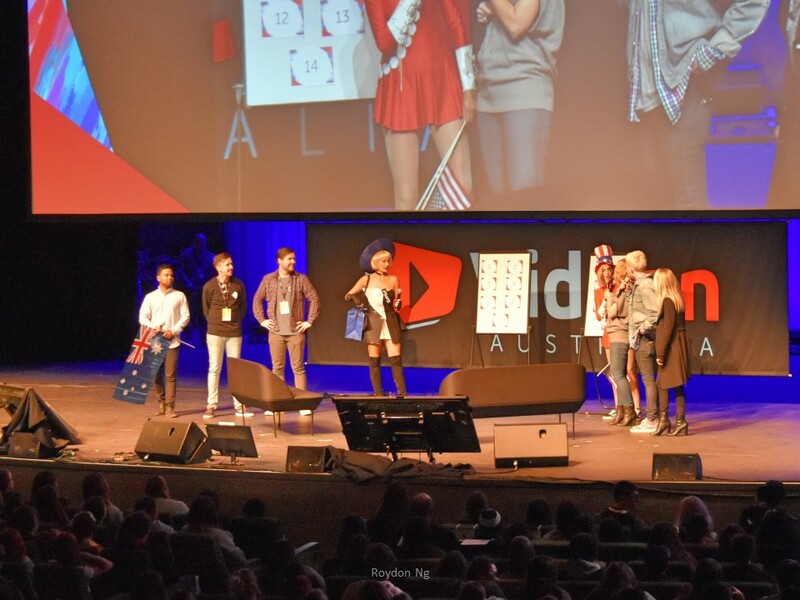 The weekend convention sponsored by YouTube kicked off with VidCon co-founder Hank Green pointing out that “Australian creators face the challenge of only having 10% of their viewers in Australia”. With growing competition and demand for quality content Slingshot Digital Director Millie Dimaio says that “we are all influencers in some way” citing Max Gladwell’s box The Tipping Point. 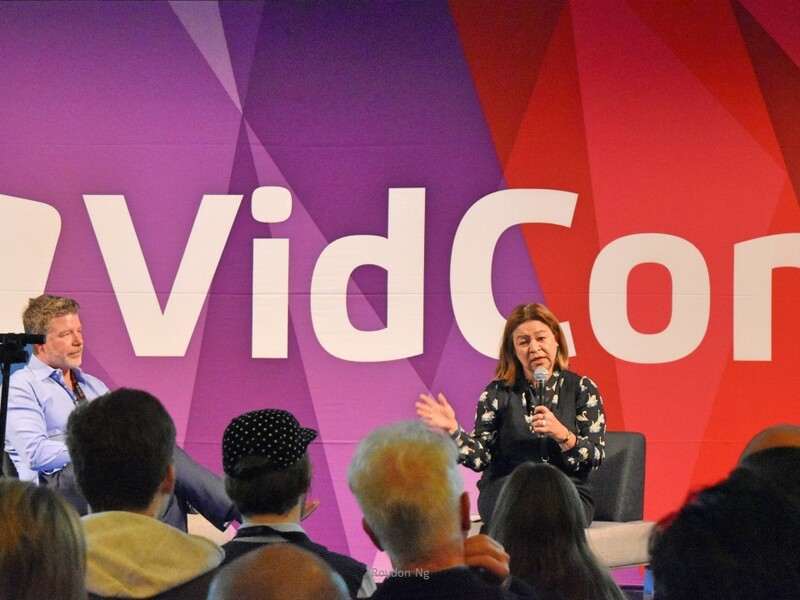 In a common theme that would be repeated widely throughout VidCon “content is key in connecting with consumers”, Slingshot business director Kaia Webber also highlighted the benefits of collaboration with other creators as means of growing their audience reaches. The convergence of media, culture and technology was on the mind of ABC Managing Director Michelle Guthrie who says she has been trying to have her organisation “understand what audiences need” as well as shift the focus onto new communications platforms. “Unleashing the sense of creativity”, said Guthrie was a key part of ensuring that the ABC keeps up with the continual disruption being experienced in the media market. As much as digital media is about content creation, an equal or perhaps greater element in the industry is the audience or the community supporting each creator. When it comes to creating and maintaining a community “there are no more gatekeepers” says Draw with Jazza creator Josiah Brooks; a sentiment that was backed by Axis of Evil musician Benny Davis who highlights that there is “a global niche now”. Having conversation, asking questions, engaging and sharing with the audience was another main theme that was highlighted in being a successful creator. The global reach of social media has presented both challenges and opportunities for content creators with “Facebook [being] like a magazine to strengthen your content” says the Study with Jess channel’s Jessica Holsman. Being actively engaged with your community through responding to emails and comments although time-consuming is as important as creating and planning new content. Recognising the challenge facing Australian creators, Screen Australia CEO, Fiona Cameron offered her advice with the comedic aid of Superwog creator Theo Saidden. The challenge for both creators and the online video industry continues to be the lack of recognition by the mainstream media market. Cameron noted however that “YouTube doesn’t have to appeal to traditional TV audiences and that Screen Australia is committed to helping local talent reach their potential”. Sharing such sentiments of the powers of digital media was YouTube Managing Director for APAC, Gautam Anand who celebrated that “there’s really no limit to what you can accomplish” in the YouTube keynote address. “YouTube is a dialog between viewers and creators” says YouTube’s Head of User Experience, Fred Gilbert. The YouTube keynote also showcased the upcoming VR180 feature allowing creators to live stream in 3D and detailed the platform’s new efforts to crack down on hate speech. With over 30 billion hours of YouTube watched each month, “knowing what audiences want” is crucial to attracting and maintaining longer watch times says Little Monster Media CEO, Matt Gielen. Apps have also been seen as a leveler of the playing field between online video and traditional television especially with both YouTube and most television networks being on the mobile platform. Having “a simple consistent brand is critical” says SouthSouthWest co-founder Jonathan Price who believes that brands should be created as an experience with amazing outcomes. Maintaining consistent formatting between the various social media platforms while tailoring content specifically to each was also listed as a top tip by TubularInsights.com’s Carla Marshall and Little Monster Media co-founder Mark Robertson. 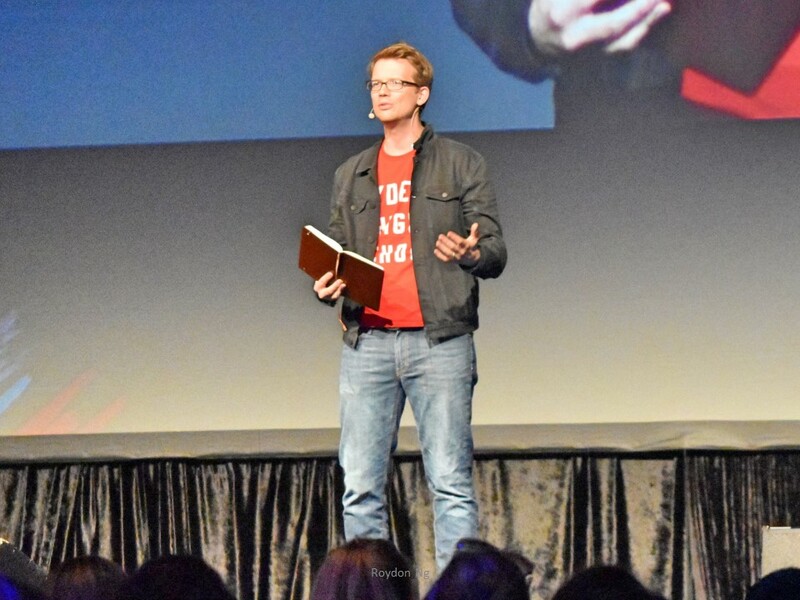 Before I returned to being deafened by screaming teenagers, VidCon CEO Hank Green gave a thoughtful keynote speech focusing on the importance of establishing connections and reflecting on personal motivations for creating content. How to Cook That’s Ann Reardon added a much needed reminder to the hundreds of creators in the room that despite the fact that “we’re in a race to get more views, a rested brain is more creative and [that] you are more valuable than your view count”. Previous Post:It all ends up in a box or does it?